Joanna C. Schwartz, The Cost of Suing Business, 65 DePaul L. Rev. 655 (2016). Joanna C. Schwartz’s 2016 article, The Cost of Suing Business, comes out of the Clifford Symposium on Tort Law and Social Policy at DePaul University College of Law—an annual gathering now in its twenty-fourth year that, under Professor Stephan Landsman’s singular stewardship, has been the site of so much valuable inquiry. In brief after brief to the U.S. Supreme Court, the Chamber of Commerce and other business amici tell the same story: Meritless class actions, filed by rapacious plaintiffs’ attorneys for the ostensible benefit of consumers, employees, and shareholders, are so devastatingly expensive to defend against, and threaten such financial devastation if plaintiffs prevail, that corporate defendants cannot help but accept “blackmail settlements” that harm both businesses’ bottom lines and society at large. It’s certainly familiar. And it’s undeniably arresting. But is it true? To find out, Schwartz follows in the tradition of civil justice scholars such as Ted Eisenberg, Marc Galanter, Deborah Hensler, and Bert Kritzer, who have long sought to use empirics to supply an “antidote to the anecdote”—and she works systematically. 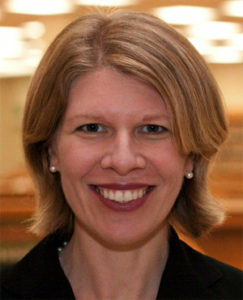 She breaks the Chamber’s narrative down into its distinct, but related, components—that, for example, class actions force blackmail settlements and impose catastrophic costs on corporate defendants—and, using what Galanter has called a “bricolage strategy,” she gathers what scattered data exist and methodically lays these facts alongside the Chamber’s claims. Another frequent gripe with class actions is that they impose “catastrophic” costs on business. But again, Schwartz holds that contention up to the light and finds that its truth is hardly self-evident. Class actions surely can trigger substantial cash transfers: Brian Fitzpatrick has found that, during 2006 and 2007, businesses paid a total of $33 billion in federal class action settlements alone. But when viewed from another perspective, that $33 billion seems far less significant: “the federal class action settlement amounts reported by Fitzpatrick amount to less than .2% of the $20.5 trillion in revenues earned by Fortune 500 companies during the same period.” (P. 666.) Further, Schwartz amasses evidence suggesting that “corporations likely spend as much—or more—suing each other than they do on class actions.” (Id.) Indeed, while current data do not allow for a comparison of the total judgments and settlements in class actions versus non-class, intra-business disputes, Schwartz highlights the astoundingly high costs of the latter. She also points out that, while enormous securities settlements draw outsized attention, plenty of class actions—consumer, employee benefits, and labor and employment cases, for example—involve relatively modest sums. But rather than being a weakness in Schwartz’s argument, this paucity of hard and reliable evidence is kind of her point. Schwartz’s ultimate contention is not that the empirical record proves the value of class actions. Instead, it’s a more nuanced claim that the current record doesn’t support those assertions currently being used to restrict those actions, or to limit access to the civil justice system more generally. She, in fact, returns us to the old adage, familiar to carpenters, home decorators, and school children alike: “Measure twice, cut once.” Unless and until we know what we’ve got, how it works, and how procedural tinkering will alter the status quo, we should be far less eager to nip and tuck—and far more disciplined in taking out the ruler and making clear and precise measurements. See Fed. R. Civ. P. 23(f) advisory committee’s note (“An order granting certification, on the other hand, may force a defendant to settle rather than incur the costs of defending a class action and run the risk of potentially ruinous liability.”); AT&T Mobility LLC v. Concepcion, 563 U.S. 333, 350 (2011) (“Faced with even a small chance of a devastating loss, defendants will be pressured into settling questionable claims.”). As one commentator has succinctly stated: “State-court data is more limited, harder to collect, and difficult to compare.” Nathan L. Hecht, The Vanishing Civil Jury Trial: Trends in Texas Courts and an Uncertain Future, 47 S. Tex. L. Rev. 163, 164 (2005). For example, the Administrative Office of U.S. Courts tabulates the number of federal civil trials at Table C-4—which has been the centerpiece of various scholars’ discussion of trial trends. See, e.g., Marc Galanter, The Vanishing Trial: An Examination of Trials and Related Matters in Federal and State Courts, 3 J. Empirical Legal Stud. 459, 461 (2004). However, Table C-4 defines a trial as “a contested proceeding at which evidence is introduced,” and it therefore counts as “trials” certain events that we might not believe truly qualify (e.g., contested hearings to determine whether to issue a temporary restraining order or to qualify an expert against a Daubert challenge). Once we clear away those contested hearings that aren’t traditional trials, it seems that we have far fewer federal civil trials than we had thought—and the “disappearing trial” might be further gone than we have previously realized. See Nora Freeman Engstrom, The Diminished Trial, 87 Fordham L. Rev. (forthcoming 2018). Indeed, Professor Jonah Gelbach has recently completed a rigorous study of federal civil cases that had docketed trial activity in calendar year 2014. Sifting through hundreds of thousands of dockets, Gelbach found 1574 federal cases that had either a bench or jury trial in 2014, whereas Table C-4 reports that 2920 “trials” were conducted during that same period. All this underscores that the on-the-ground operation of the civil justice system is maddeningly elusive—even more so, perhaps, than we’ve previously understood. Cite as: Nora Freeman Engstrom, Measuring Common Claims About Class Actions, JOTWELL (March 16, 2018) (reviewing Joanna C. Schwartz, The Cost of Suing Business, 65 DePaul L. Rev. 655 (2016)), https://torts.jotwell.com/measuring-common-claims-about-class-actions/.